African Lions range from the middle of southern Africa up to the northern areas of central Africa. They are the only big cat that lives in a family group known as a pride. 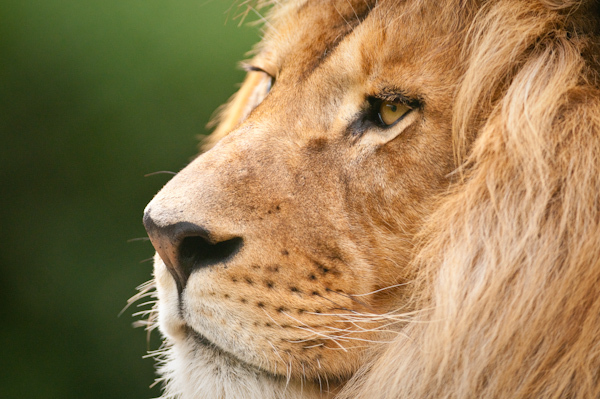 Male Lions have a distinct mane which provides them with protection during fights with other Lions. Young males are forced out of the pride when they reach maturity in order for the dominant male to continue control over the pride. Females share the hunting and babysitting duties, whilst the main duty of the males is to protect territory, females and cubs from other male Lions.